The products of about 250 MSMEs representing the best products from all regions of the country will be offered for retail sales to consumers and will also be available for order-taking from institutional buyers. These include products such as gifts, wearables, furniture, specialty food, and health and wellness products. Green, organic, eco-friendly, fair trade compliant, and halal-certified products will also be featured. Supporting the DTI’s renewed focus on the One Town, One Product (OTOP) priority stimulus program, a model OTOP Philippines Hub or OTOP.PH will be showcased at the 2018 Sikat Pinoy National Trade Fair. The OTOP Philippines Hub (OTOP.PH) is a retail store or space where One Town, One Product offerings can be found. Catering to the general mainstream market of both local buyers and tourists, these stores offer a general outlet for quality, transformed, and standards-compliant OTOP products. The OTOP Philippines Hub can be a redesigned pasalubong center showcasing mostly OTOP products from various regions. The hubs may be located in airports, terminals, pasalubong centers, tourist spots, Negosyo Centers, public markets, and other consumer-frequented locations, including malls. For those interested in operating an OTOP.PH outlet, please email [email protected] or call +63 (2) 751 3307. 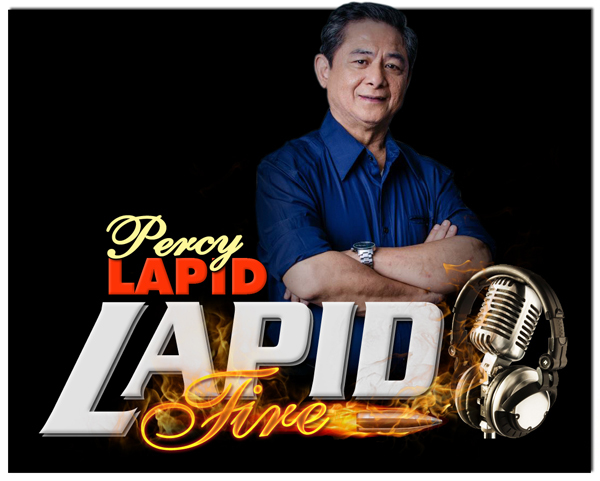 To address the production needs of MSMEs, the Design Center of the Philippines will mount a special showcase of raw materials and semi-processed raw materials and their transformation into finished products. This special showcase aims to provide awareness of the wealth of Philippine indigenous raw materials and agricultural wastes and how their transformation creates: (1) a socio-cultural impact by shifting beliefs and attitudes towards locally made products; (2) an economic impact by providing value to materials that are usually burned or thrown away; and (3) an ecological impact by using sustainable materials and processes that are environment-friendly. With this showcase, DTI hopes to provide commercialization opportunities for converters, suppliers and manufacturers through the adoption of material manipulation techniques. A supply chain solutions section will also feature suppliers of zippers, hardware for bags (e.g., locks, buckles, etc. ), fibers, packaging materials, as well as printers for labels. Adding color to the Sikat Pinoy National Trade Fair, differently-abled workers from Handcrafted by Harl’s will conduct a leathercrafts workshop where you can create your own wallet, coin purse, and other leather goods. Founded by Harley Dave Beltran, HHS Leathergoods Enterprises is a social enterprise that provides gainful employment to persons with disabilities. The Kapetirya or coffee pavilion featuring choice local coffee blends has become an integral part of all Sikat Pinoy fairs. The 2018 Sikat Pinoy National Trade Fair is organized by the Department of Trade and Industry through the Bureau of Domestic Trade Promotion (BDTP) in cooperation with the DTI’s Regional and Provincial Offices. It is one of the key programs to promote efficient marketing and distribution of local products and services; expand and strengthen linkages among MSMEs through information exchanges and market matching; and to create awareness of domestic marketing opportunities for new projects, new technologies, and investments. 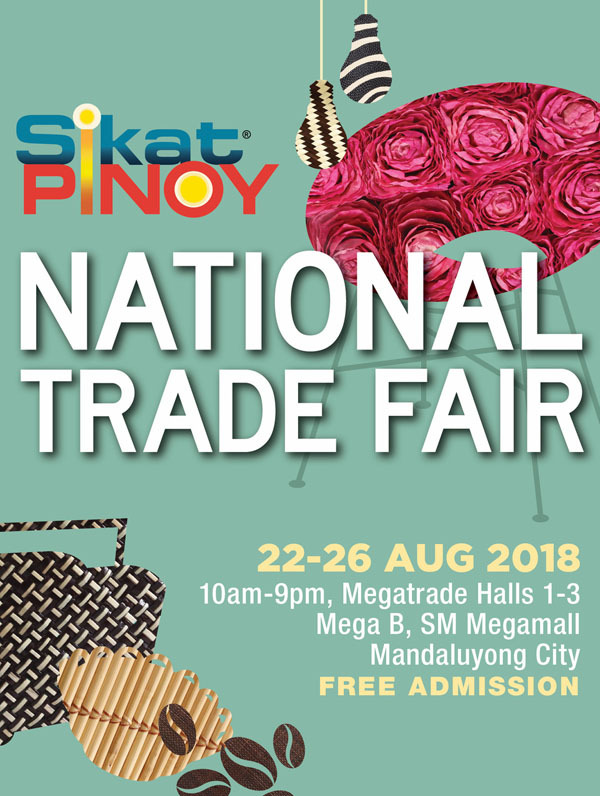 The 2018 Sikat Pinoy National Trade Fair is open during mall hours from August 22 to 26. Admission is free. For more information, please call DTI-BDTP at + 63 (2) 751-3223, or email [email protected] “Like” or “Follow” SikatPinoyFairs on social media—Facebook, Twitter, Instagram—for regular updates.